At first sight, if the aims of National Poetry Month include celebrating the poetry of the past, increasing awareness and appreciation of poetry, and focusing on the continued relevance of poetry today, it seems it should be something I support. 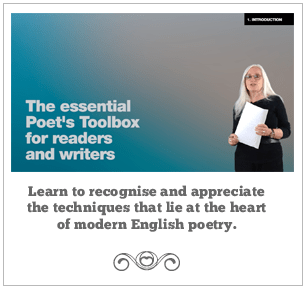 But when I stop and think about it, I’m not 100% sure that the poetry that is ‘relevant’ today – or at least the poetry that is popular – is the poetry I want to read or encourage. I suspect, too, that for every person who discovers joy in poetry through National Poetry Month, there is probably at least one other who is put off by all the fuss about it or by the poor quality of much of what is shared under the initiative.